Dalton, GA (October 1, 2010) – Jeremy Stroop, Operations Manager for the Carpet America Recovery Effort (CARE) has been named by Georgia Trend magazine as one of 40 Georgians under the age of 40 who are making a significant mark on their professions and communities. Winners were selected from more than 300 nominations from the magazine’s readers. 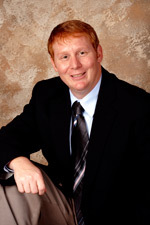 According to the magazine’s editors, Jeremy was selected because of the significant impact that he is making across the nation and in Georgia towards increasing the reuse and recycling of old carpet, as well as his community volunteer work. As the operations manager for CARE, Jeremy networks with the carpet industry, entrepreneurs, consumers and government agencies to educate and implement programs that will help recover carpet waste in order to put it to new uses. “Since carpet is a petroleum-based product, it is a waste to throw it away once it has reached the end of its useful life in a home or a business. Old carpet can be recycled into numerous products, including new carpet, carpet cushion, automotive parts and erosion control devices,” said Stroop. Past honorees include: Atlanta Mayor Kasim Reed; Sara Blakely, Spanx founder; Augusta Mayor Deke Copenhaver; Steven Stice, UGA professor and founder of Aruna Biomedical; Pulitzer Prize-winning poet Natasha Tretheway; and Jovita Moore; WSB-TV Anchor.